National push calls for adjustments to Magnuson-Stevens Act, urges greater access to fisheries. WASHINGTON, D.C. — In hopes to alter a longstanding federal law in favor of recreational anglers the Center for Coastal Conservation (CCC) launched a communications campaign on Sept. 12 touting non-commercial fishing as beneficial to the country’s conservation efforts and economic health. The “Let America Fish” campaign would specifically aim to have the Magnuson-Stevens Act (MSA) altered to benefit recreational fishing and highlight the industry’s positive affects on the U.S. economy. “The campaign highlights the impact of the recreational fishing and boating industries on the U.S. economy, speaks to the conservation efforts put forth by recreational anglers, and sheds light on the fact that the current laws are unbalanced thereby severely limiting access for recreational anglers,” a public statement published by the Center for Coastal Conservation read. 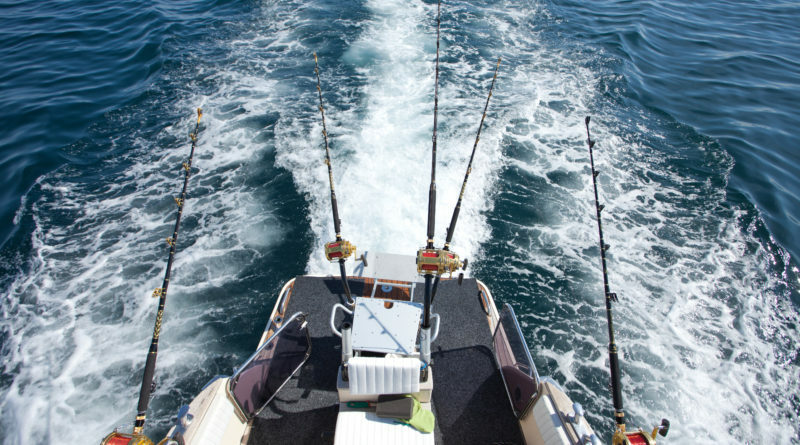 CCC President Jeff Angers said the “Let America Fish” campaign would inform legislators and the American public of the benefits of recreational angling and boating. Congress first passed the MSA in 1976, extending long-term biological and ecological sustainability efforts to U.S. waters within 200 nautical miles of shore. Marine fisheries beyond 12 nautical miles of the U.S. coast were not protected prior to 1976. The MSA was updated in 1996 and 2011. Some say the MSA focuses too much on commercial fishing. 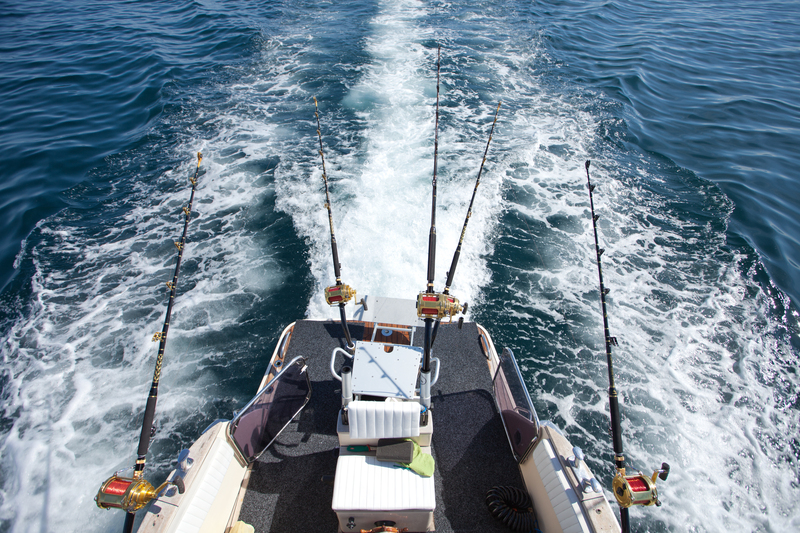 Recreational anglers now make far greater contributions to the fishing industry compared to when the MSA took effect, some groups, including CCC, have argued. “As a group, recreational anglers provide a greater economic impact than industrial commercial fishermen. America’s 11 million recreational saltwater anglers make a combined economic contribution of $70 billion annually, spend $26.5 billion each year, and create 455,000 American jobs,” said CCC’s statement. Beyond economic contributions recreational anglers also contribute to habitat restoration, promote sustainable fish practices and protect habitats. Anglers also support conservation and habitat restoration efforts by paying license fees and excise taxes on fishing equipment, according to CCC’s released statement. “We hope the messages delivered through ‘Let America Fish’ will resonate with Members of Congress, recreational anglers and boaters nationwide. Our goal is to sustain healthy fish stocks and ensure our ocean fisheries remain truly public resources that are available to all Americans,” said Angers. The MSA’s four primary objectives, according to NOAA, are to prevent overfishing, rebuild overfished stocks, increase long-term economic and social benefits, and ensure a safe and sustainable seafood supply. Calls for updating the MSA again come on the heels of commercial fisheries and others demanding federal officials to not create additional national marine monuments under the Antiquities Act. On Aug. 15 the executive director of the California Wetfish Producers Association (D.B. Pleschner) penned an op-ed in the Sacramento Bee claiming the state’s fishing community opposes recent efforts to protect banks, offshore seamounts and ridges as national monuments under the Antiquities Act. In July Reps. Sam Farr (D-Carmel) and Ted Lieu (D-Santa Monica) introduced the California Seamounts and Ridges National Marine Conservation Area Designation and Management Act (H.R. 5797) to increase the amount of protection habitats and wildlife would receive in federal waters. If approved H.R. 5797 could increase the amount of federal waters protected by safeguarding the banks, ridges and seamounts in federal waters just off the California coastline. Pleschner accused federal legislators of not consulting with recreational anglers and commercial fishers before moving forward with efforts to create new offshore monuments. “These areas do deserve protection. But policies for protecting resources in federal waters exist under the federal Magnuson-Stevens Fishery Conservation and Management Act and other bipartisan laws, such as the Marine Mammal Protection Act and Endangered Species Act, which require science-based, peer-reviewed analysis conducted in a fully public and transparent process,” Pleschner wrote in her Sacramento Bee editorial. She added California’s anglers and fishers are heavily regulated and do not threaten the progress of conservation efforts already in place. “Fishing – commercial or recreational – does not pose any threat to these areas. In fact, California has the most strictly regulated fisheries in the world,” wrote Pleschner. The National Coalition of Fishing Communities (NCFC), in a Sept. 12 letter to President Barack Obama, said the creation of additional national marine monuments would effectively circumvent the MSA. California Fisheries and Seafood Institute, California Sea Urchin Commission, Pacific Seafood Processors Association and Ventura County Commercial Fisherman’s Association are among the groups included in the NCFC opposition to the creation of additional national marine monuments. Obama announced in late August he would expand a national marine monument – originally created by President George W. Bush in 2006 – just off the coast of Hawaii. In September the International Union for Conservation of Nature (IUCN) World Conservation Congress supported a resolution calling for at least 30 percent of the world’s oceans to be designated as protected.